Changing lives with a trip so one-of-a-kind that it has never been attempted before, Health and Fitness Travel, the leading specialists in wellness holidays worldwide, introduce their ultimate luxury around the world wellness trip. With the expert guidance of professional wellness teams, become the master of your health and fitness on this one year trip of a lifetime with multiple stops in 20 countries, from Australia to Brazil. 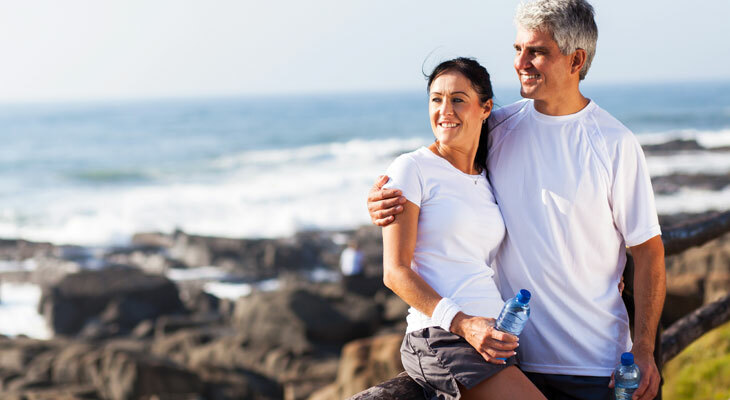 Ideal for health conscious baby boomers looking to get the most out of life after retirement, todays growing phenomenon of ‘grey gappers’ is fuelled by the ‘now or never’ factor. Learning a healthier lifestyle through educational health consultations, inspiring fitness training, healing spa therapies and healthy nutrition, this life changing trip offers a new perspective on your health. Joining the ‘grey gappers’ in the rise of the adult gap year are the burnt out 30+ executives feeling the stress of the rat race. With the estimation that today’s early 30 year olds won’t be able to retire until they are 731, it is no wonder sabbaticals are tempting more professionals, with 4 million people in the UK recently taking a career break2. Whether in search of an alternative approach to existing health problems, or in need of a healthy lifestyle overhaul after the trials of a divorce or illness, this tailor-made trip is an investment in your health and well-being. Topping £156,000pp with business class flights, if that’s blowing the budget, there is even a six month version of the trip, for those with fewer funds or time to spare. For those ready to take the first step, transform your health and fitness as you learn from leading experts in stunning destinations around the world, from a 1-on-1 kickboxing session with a British gold medallist in Ibiza, to a Tai Chi class on the summit of Vietnam’s Marble Mountains. Learn how to switch off from stress with yoga in India and heal your body with medical spa therapies in Spain, all whilst sampling the very best in healthy cuisine, from a cleansing juice detox to macrobiotic cooking classes. Get your culture fix in Rome and Istanbul, before keeping active on your journey when mastering stand-up paddle boarding in Hawaii and hiking to the 700m summit of Gros Piton Mountain in St Lucia. All combined with a healthy dose of adventure, paraglide from the mountains of Oman and zip line through the rainforests of Costa Rica. Including a helicopter tour of Australia’s iconic Twelve Apostle’s and a private guide safari across the wilds of South Africa, experience the very best in luxury travel on this ultimate life changing wellness trip. Offering a gateway to travelling the world whilst becoming the master of health and fitness, the ultimate luxury around the world wellness trip will banish bad habits and reward you with health benefits that will last a lifetime. Simply quote ‘Health50’ when booking to receive this very substantial discount!